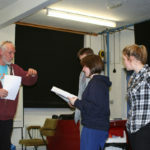 This CMMF Project enabled a group of young people to initiate and develop two short plays about Domestic Violence – both portraying an issue that they felt had become a growing concern within their local community. Each play was entirely devised by the young people themselves and the resulting performances to other pupils within their school pulled no punches in showing the devastating effects of this form of behaviour – on both families and friends. 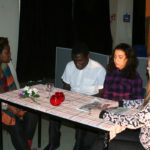 The CMMF funded a series of ‘Introductory Workshops’ at the Croydon Youth Theatre Organisation’ (CYTO) – a well-established and creative Youth Theatre that stages a wide range of drama, dance and musical work – including both scripted and devised work relating to the issues facing young people today. 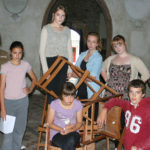 A group of young people from a number of clubs and schools in the Colchester area were recruited by The Footprints Theatre Company for this first Performing Arts Activity Project funded by the CMMF – a project that would involve them in completely devising and performing a short play based in, and about the history of, the ‘disused’ St Martin’s Church in the centre of the town. 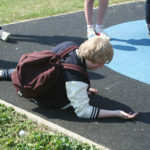 This project, initiated through former Markhouse Drama Club member Ray Aylott, was very much related to his experiences and concerns as a Community Police Officer working with many local young people and dealing with the pressures and issues of ‘knife crime’ – also upon his belief that peer education by the young people themselves is one of the most positive ways forward. 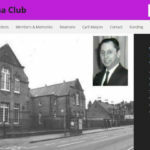 In addition to all of the above performing arts projects with young people, in 2017 the CMMF provided the initial funding to set up a dedicated ‘Markhouse Drama Club’ website; this to replace the memorabilia in Richard Dunn’s former ’Walthamstowhistory.com’.